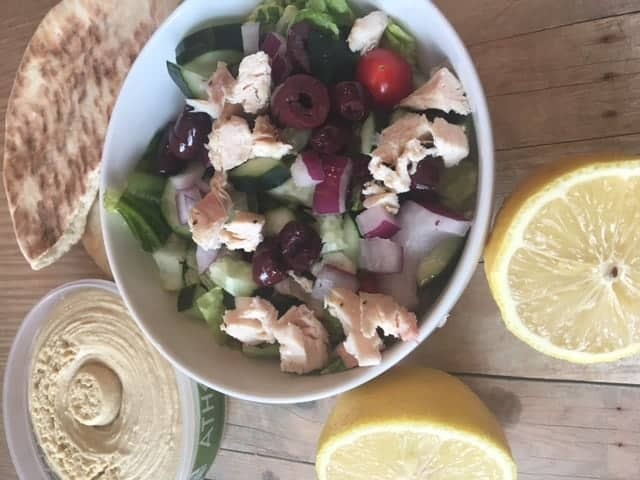 This Grilled Chicken Salad Pita Pocket is part of the new comfort food movement and is a family friendly food recipe. Making dinner for my family requires good food, a good appetite and more family time at the table. It’s no secret in my house, that I could live on Salad, Soup, and dessert. Oh and don’t forget iced tea. But no one else in my family eats this way. My hubby gets so annoyed when we go out to dinner and I order a salad. 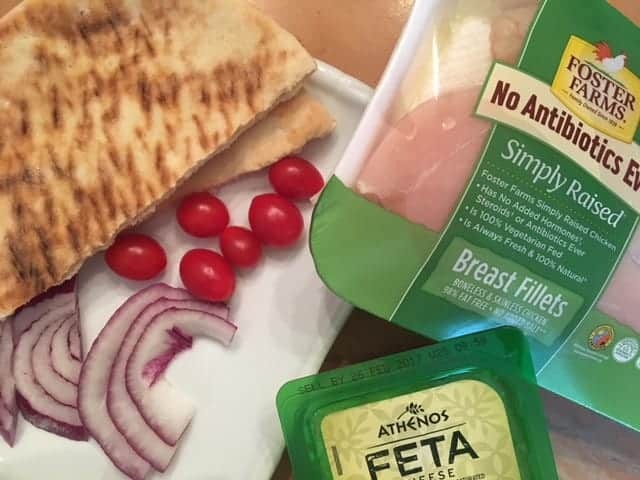 I do like to have some protein in my salad and that’s why I love these Pita Pockets. They are part of the #newcomfortfood. Now I can have my salad and get some delicious protein, but not a lot of calories, which makes me happy. The rest of the family gets a lot of flavor and protein that satisfies them. That also makes me happy. This grilled chicken salad pita pocket starts with ingredients that are fresh and Chicken that is locally grown and antibiotic-free. 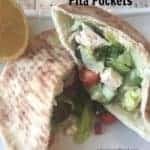 I chose to create this pita pocket with Greek flavors. 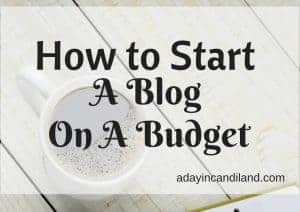 I usually will grill a large package of Foster Farms simply raised fresh chicken for dinner and save 1 or 2 breasts for the Chicken Salad the next day. That way, it only takes a few minutes to make these Grilled Chicken Salad Pita Pockets. I recently made a California Chicken Sandwich with Mayo Dressing. You can grill up the package of chicken and make both meals out of one package. This Grilled Chicken Salad Pita Pocket is part of the new comfort food movement and is a family-friendly food recipe. Making dinner for my family requires good food, a good appetite and more family time at the table. Make sure you pin this Chicken Salad Pita recipe so you can come back to make it. To make this a Keto Recipe, don’t use the Pita Pockets and add some Pink Himalayan Salt, lemon juice and some MCT oil. If you like this recipe give it a 5-star review. Ooh, that looks delicious! 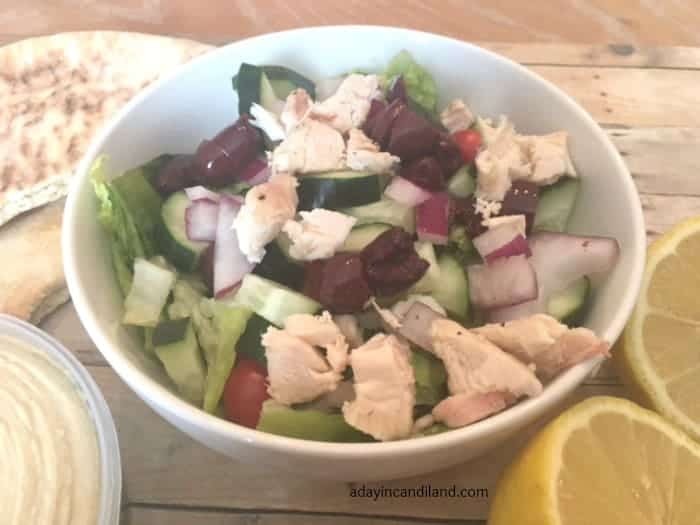 I love chicken salad and everything is better with feta cheese! Yes, Feta is one of my favorites, it makes everything taste better. It was so easy to make, and I just add the dressing as I use it, that way it lasts a few days. YUM!! This looks amazing. Perfect for a delicious lunch with friends or while working. That’s exactly the kind of lunch I’d eat on a regular basis. It’s similar to what I had today actually! Now this looks like one tasty sandwich. 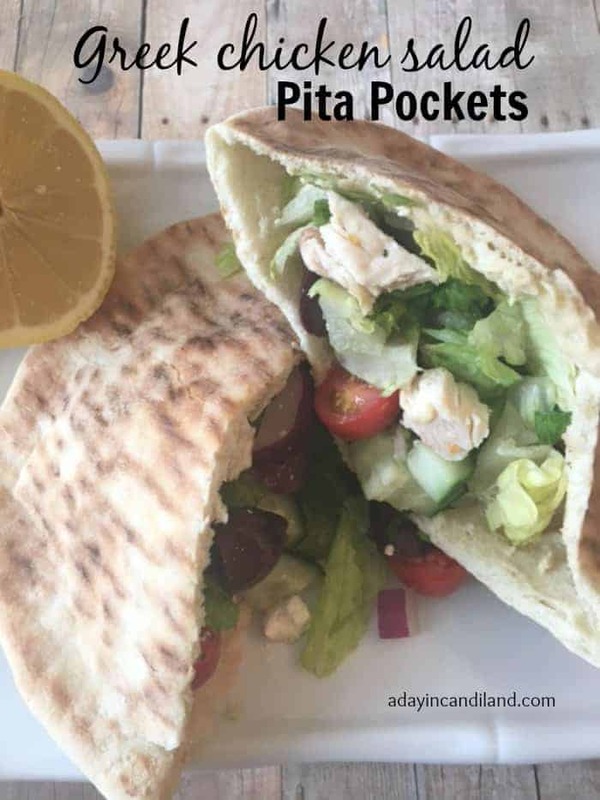 I love pitas..throw in chicken, olives and feta….and you have a happy camper!! This looks like a simple recipe that even I can make. Can’t wait to give this a try. It looks soooo good! I can’t wait to make it for lunch! Oh, that looks so good. I wish that you lived next door and I would pay you to make me one right now! 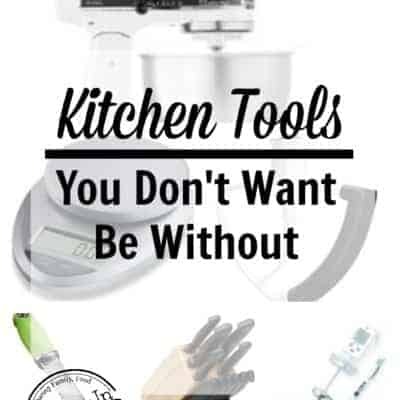 But since you don’t I will have to print it out and go get the ingredients and make my own after I get finished with tax season. Thank you for sharing. 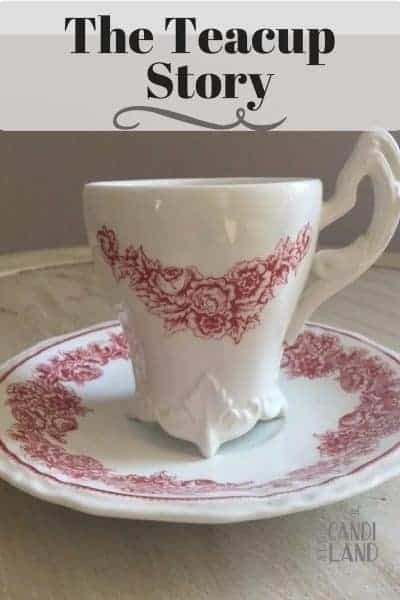 Oh, wow, my family is going to love these!